Ok, I have a confession. Last Thursday, I became yet another Pokémon Go-related statistic when I fell into a hole while walking around my neighborhood. I began playing the new GPS-enabled, augmented reality game, Pokémon Go the minute I learned that I could realize my childhood dream of hunting Pokémon IRL (in real life, for those not familiar with the acronym). I was hooked. So hooked, that while glued to my cell phone screen and searching for an elusive Bulbasaur, I fell directly into a not-so-elusive Houston pothole. Don’t worry, I caught the Bulbasaur (and I’m OK). However, during my weekend search for Pikachu, Snorlax, and the other 248 Pokémon, it dawned on me how right the developers of the game got it when it came to building a technology that motivates and inspires users to get hooked and stay that way, even when the searching process gets more difficult. I think about this — how to motivate people and keep them motivated — often, although typically within the context of subject area that most fourth graders (and, lets be real, most thirty-year-olds) find less exciting than the hunt for mythical, magical beings: education. 1. Pokémon Go’s augmented reality is cool, brings relevance to the experience, and encourages users to explore and engage with their environment in novel ways. One of the novel features of Pokémon Go is its ability to meld the fantasy world of Pokémon into the user’s every day environment. In order to find Pokémon, users are required to travel around their community to different locations. Once at these locations, the game uses cell phone cameras to project a Pokémon into these real-world environments. The use of augmented reality makes the game feel more exciting by integrating itself and making itself relevant to the user’s particular community. Of course, Pokémon fans could simply break out the old Gameboy and catch Pokémon within the privacy of their home, but doing so is nowhere near as fun as going out into their communities to explore. Augmented reality in Pokémon Go connects the game to the real world and encourages users to go out and explore places they might have never gone. In education, the ideas and topics covered in a textbook or a lecture often fail to make the leap from abstract concept to real-world application. Drawing upon the use of augmented reality in Pokémon Go, education technologies could devise ways to authentically engage users in real-world situations. For example, they could encourage the examination of biological or physical processes as they occur in nature. 2. Pokémon Go engages players at their Optimal Level of Difficulty. When beginning the game, a novice player encounters challenges that are “just right” for their skill level, while more experienced players receive more difficult challenges. For example, a new player will go out and encounter an easy-to-capture Pokémon, like a Pidgey. After leveling up, however, Pokémon become more difficult to capture. These Pokémon require, for example, that the player “release” or “throw” a Poké Ball (a device used for catching wild Pokémon) at just the right time, with an ever-so-perfect a spin, or you have no chance of catching an elusive Wigglytuff. The game is quite good at finding the Goldilocks zone of being neither too hard, nor too easy. This ability is important, especially when it’s related to how students approach educational assessments. If a question or challenge is too hard, students get discouraged and quit; if it is too easy, students get bored and disengage. 3. Gradual exposure to new elements and new ideas keeps Pokémon Go interesting and doesn’t overwhelm the novice. Just like educational technologies, Pokémon Go is a very complex system. Users can catch Pokémon, explore various real-world landmarks designated as Poké Stops, put spin on Poké Balls to increase the likelihood that they will successfully catch their target, and battle at gyms (physical places where players can virtually engage in sparring matches or battles with other Pokémon enthusiasts). However, unlike much tech used in the classroom, Pokémon Go reveals these features to users gradually. In some cases, such as battling at a gym, a player is barred from entry until they reach a level 5. In Pokémon Go, not only does gradual exposure to more advanced features prevent the need for training, it also keeps the game interesting. Players have something to work towards, capabilities to unlock. In edtech, faculty members are often thrown into the technological deep end. They are presented with myriad options and toggles — they get all the features of a level 20 Poké Master, despite the fact that they’ve yet to learn how to snag a baby Rattata. I’m not saying that it would be wise to make faculty who are accustomed to choosing edtech products based on their feature richness wait to have access to, say, an advanced analytics dashboard. But I do think the edtech industry needs to abandon the feature arms race in favor of user-friendly technologies and tools that make it easy for teachers, students, and administrators to get what they need, when they need it. 4. 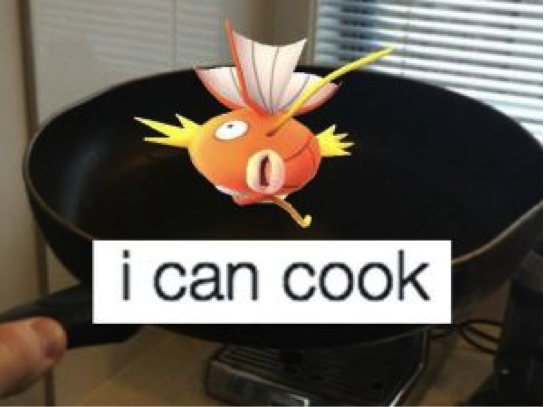 Growth mindset is implemented throughout the game, which encourages users to improve their performance by strengthening their Pokémon and increasing their avatar’s experience points. 2) A fixed mindset, where an individual believes that their skills are based on innate talents and gifts cannot be changed. Unfortunately, the same often does not hold true in the world of education. Students typically believe that they fall into a specific, unchangeable camp, such as the “I’m just not good at math” camp. High-stakes testing and assessments, as well as many education technologies can discouraging users and make them less likely to try to increase their understanding in their problem subject areas. Assessments have become synonymous with something that is bad, even though a ton of research shows that “long-term memory is increased when some of a student’s learning period is devoted to retrieving to-be-remembered information through testing or assessments.”(Wikipedia) Education technologies must figure out how to encourage users to view assessments and quizzes as a good things, then use this technique to encourage students to level up as they would when battling in Pokémon Go. 5. Pokémon Go uses technology to create Community IRL. Yesterday evening, I was out playing Pokémon Go with friends. 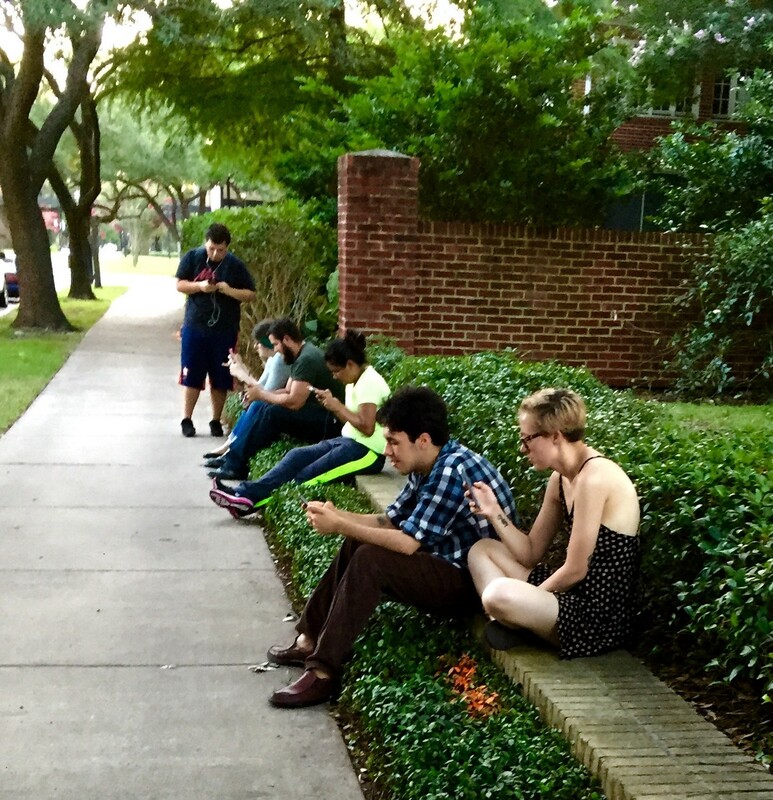 We were walking around our neighborhood, searching for rare creatures, when we stumbled upon another group of similarly aged individuals, their heads buried in their iPhones, their fingers making the distinctive flicking motions associated with trying to capture a Pokémon. We inquired about each other’s catch and immediately bonded over our mutual pursuit of prized Pokémon. The other team shared with us that “The really good Pokémon hang out at the Zoo,” and “If you do this, you are more likely to catch that Psyduck.” Since then, my Facebook feed has been filled with invites to Pokémon hunting themed meet-ups. A new community has grown up around this game practically overnight. In a time when technology is often thought to discourage participation in real life, Pokémon Go has done something unique; it has brought people together and formed communities. With education technologies, more often than not the learner and, in many cases, the educator, are isolated. The technology creates a barrier between them and can prevent communities from spontaneously forming. New models of educational technology must figure out how to break down these barriers, create communities, and use technology to bridge the gap between our virtual worlds and our real lives. I’m not sure if Pokémon Go is a passing fad or something that is here to stay. However, whether you are a technologist working on the next great learning app or a teacher trying to figure out how to engage your students, Pokémon Go offers a powerful model that has quickly changed the way users behave and engage with digital content. Just one warning, don’t forget to watch out for the potholes. This article was written by Daniel Williamson, managing director at OpenStax. Daniel is passionate about education equity and has dedicated the past ten years of his life to developing and leading education startups from idea to implementation. see more.